If you haven’t been to Daphne’s on 29th Street in a while, you need to go. The restaurant just got finished with remodeling, and new menu items were recently added. Daphne’s went under reconstruction and new management after filing bankruptcy in 2010. Since then, Daphne’s has gone through some changes under present owner and Colorado native, Bill Trefethen. 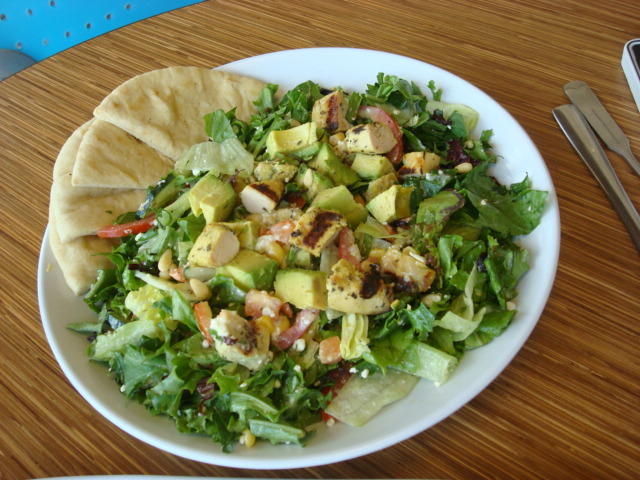 Daphne’s still has some of the traditional Greek dishes, but it now also has some California inspired Greek dishes like flat bread pizzas, pita burgers and some featured summer salads like Chicken Strawberry and Mango Shrimp Salad. Their menu also has all the nutritional facts listed as well as allergen and vegetarian options. Daphne’s is a California based restaurant, and the Boulder location is the only Colorado location right now. They plan to open more Daphne’s in Colorado in the future. Although not based locally, Daphne’s partners with many local businesses and schools such as Fast Forward Sports, YMCA and various school and athletic events. It is important to Daphne’s to support local businesses and kids. Daphne’s focus is on providing fresh, healthy food that the whole family can enjoy. The owner and management live their passion with eating healthy and living an active lifestyle. Craig Meunier, the Regional Director for Daphne’s, surfs everyday and eats Daphne’s almost every day. The whole management team is passionate about health and providing delicious, healthy options. Most menu items have less than 700 calories. What about the taste? I got to sample several of the newer dishes on the menu, and I was quite impressed! I also love that you can see the nutrition of your meal and know what you’re eating. 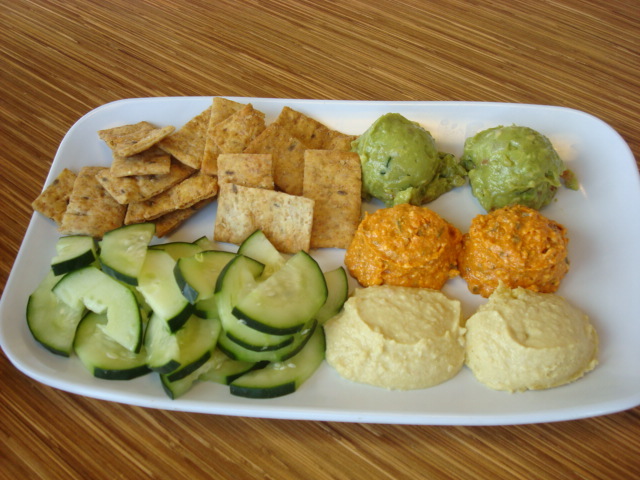 This sampler platter comes with multi-grain pita chips that are dangerously addictive, cut up cucumber and fire feta, guacamole and hummus. The fire feta is a unique dip to Daphne’s that provides some kick and is very delicious! Total calories for the sampler are 510 calories, so share this dish with a group. This salad has a lot of texture and flavor. It comes with roasted chicken, avocado, tomatoes, corn, feta cheese, pita brwad on the side and a gorgonzola vinaigrette. This salad was a filling meal, and a delicious blend of flavors. It is between 500-600 calories, so if you want to lighten it up ask for dressing on the side and no feta. This is what California Greek is about. 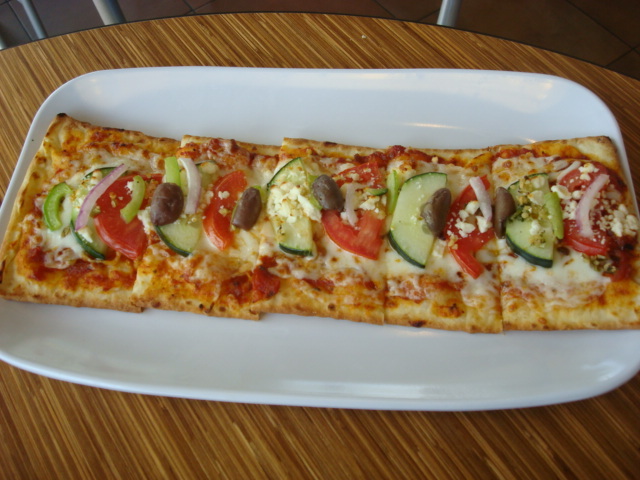 A flatbread pizza with tomatoes, cucumber, olives, tabouli, peppers, onion and mozzarella and feta cheese. This was one of my favorites! I enjoyed the freshness of the pizza and the crunchy toppings. This provides 460 calories, a great light option for a meal or split with someone else and add a salad. 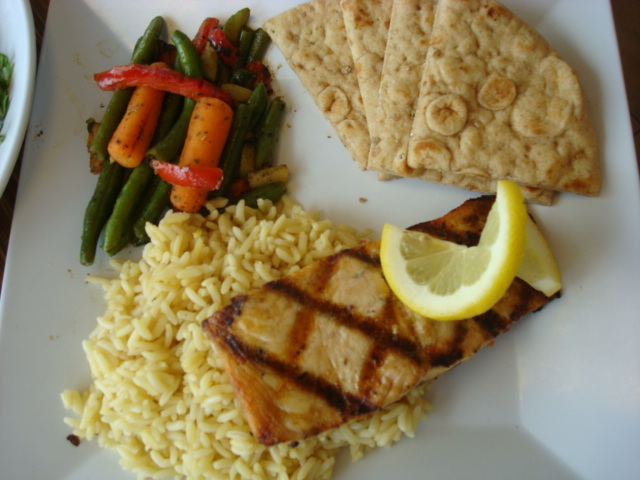 Grilled salmon, roasted vegetables and rice pilaf= AWESOME! The plates come with an option to pick 2 sides and served with pita bread. The vegetables were seasoned nicely and not over cooked. The salmon was delicious. All for 330 calories. You can also mix and match the plates with gyro meat, grilled chicken or steak kabob, falafel or crispy shrimp. This salad is for summer time only. 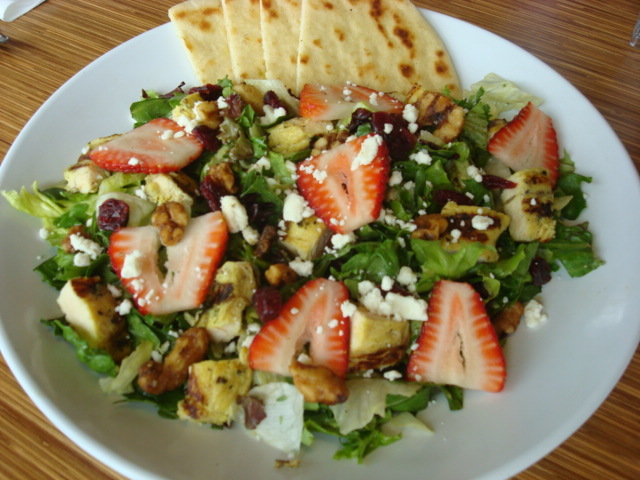 It is loaded with fresh strawberries, feta cheese, dried cranberries and chicken. This was definitely another favorite. Get one this summer before they are gone! Stop in soon to check out the recent remodel of the inside of the restaurant and new menu options. There are skate boards from BC Surf and Sport and pictures of outdoor activities on the walls. It’s a great mix of California/Boulder active lifestyle inside with healthy food. Yum!